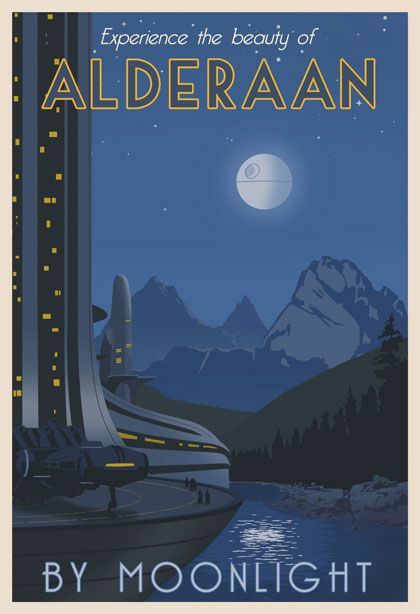 Have you ever wanted to take a trip to a galaxy far, far away? 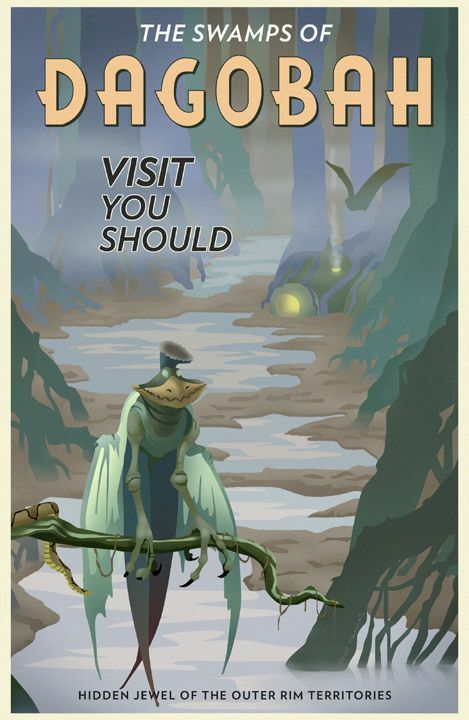 Just to be able to walk the streets of Mos Eisley, or explore the forest moon of Endor, or even experience the swamps of Dagobah. 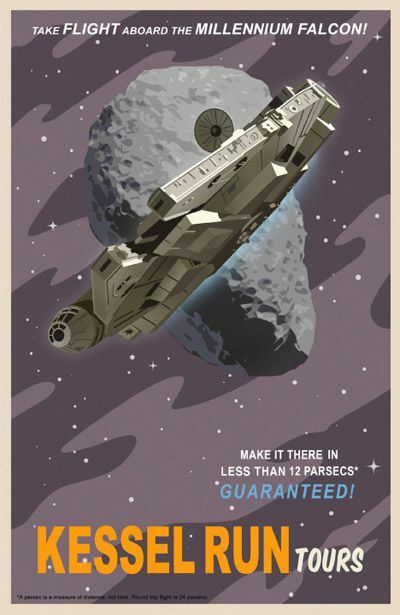 Yep, we have all dreamt of it at one time or the other. 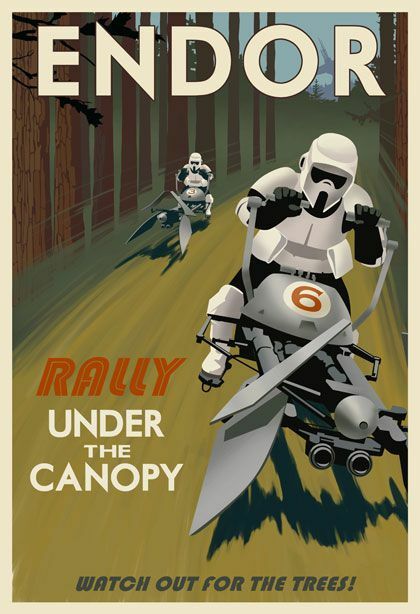 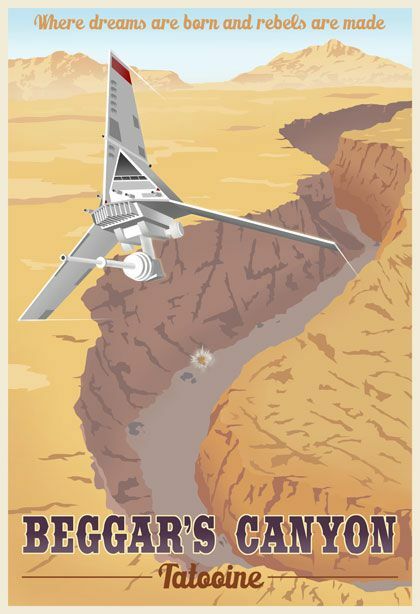 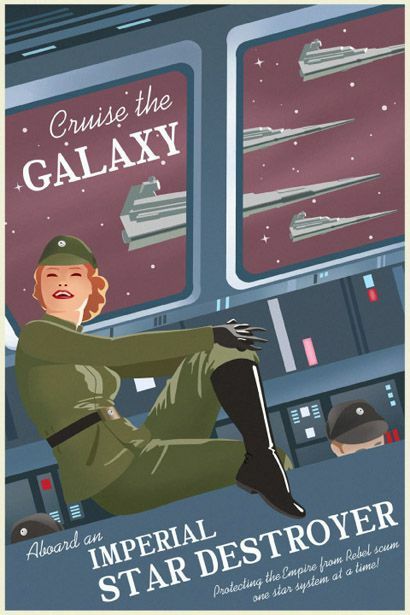 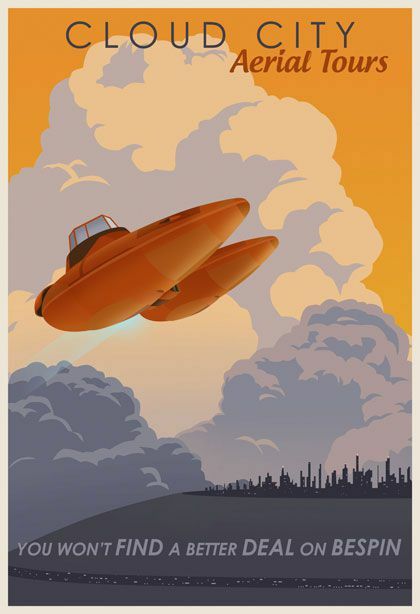 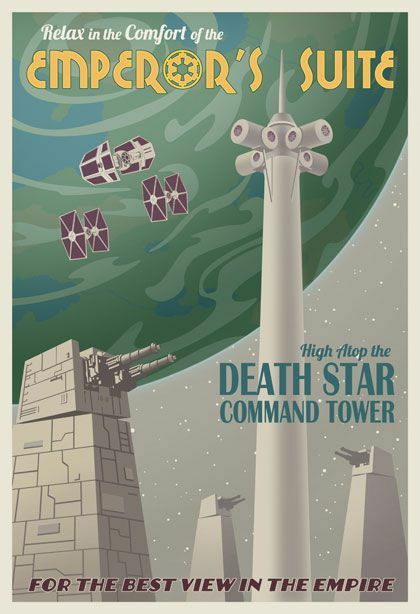 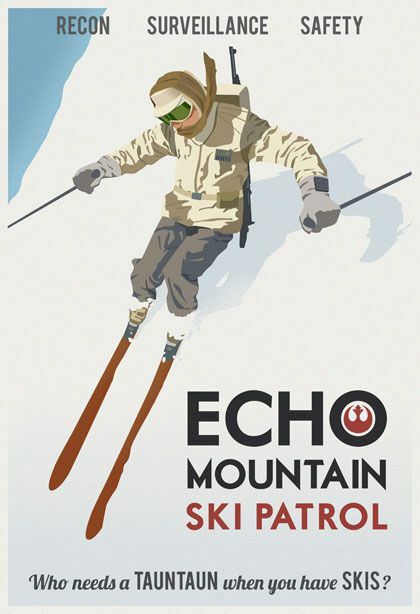 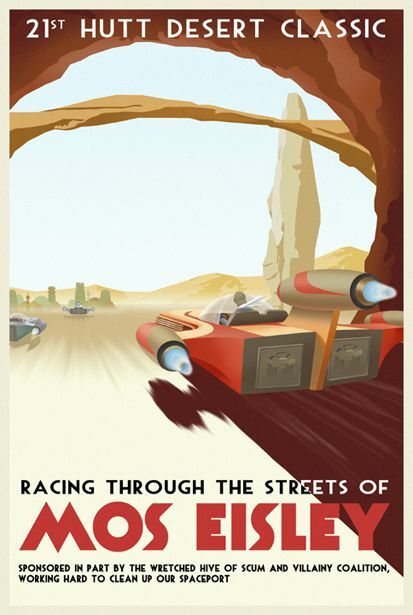 Graphic artist Steve Thomas has taken that dream a little bit further by creating a series of travel posters, in an art-deco style inspired by vintage U.S. parks posters from the 1930s and 40s, for the Star Wars Universe.